Supporters of Governor Paul Le Page are livid. 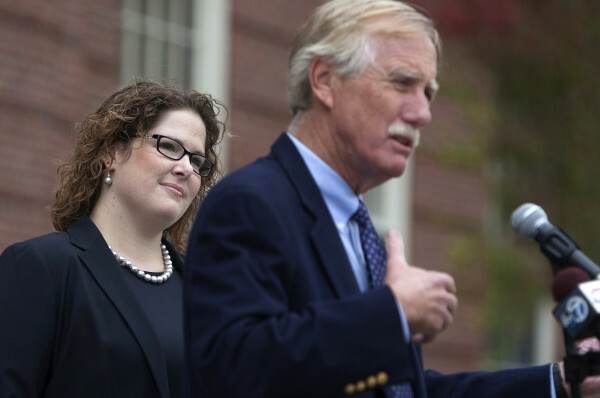 They are mad at Angus King. They have no reason to be, except that they fear their candidate will have a harder path to victory. That’s because of the weird twists and turns of Maine’s gubernatorial contest. Senator Angus King is an independent who caucuses with the Democrats. King also served two terms as an independent Governor in Maine. King, who has endorsed Democrat Emily Cain for the second district seat, earlier endorsed independent candidate Elliot Cutler for governor. He’s also endorsed independent Larry Pressler in South Dakota. Le Page supporters know that in a two way race between their man and Democratic candidate Mike Michaud, Le Page has no chance. He is not the typical Maine Republican, he’s a tea party Republican who has made his mark by refusing federal funds to expand medicare, hurting both Maine citizens and hospitals who need the money. Other Republicans, like Ohio Governor John Kaisich, praise medicare expansion – and have chosen to benefit from it. That and his embarrassing quotes, bullying and temper tantrums make Le Page an unpopular governor. Yet he could win the election if the opposition to Le Page splits their vote between Elliot Cutler and Mike Michaud. The GOP has been pouring money into support for Cutler for the very purpose of undermining Michaud. 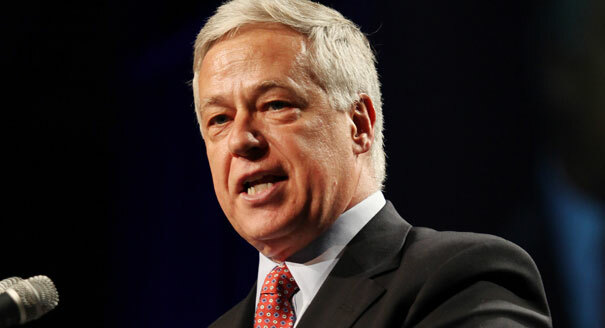 The anger against King comes because he changed his endorsement from Cutler to Michaud. 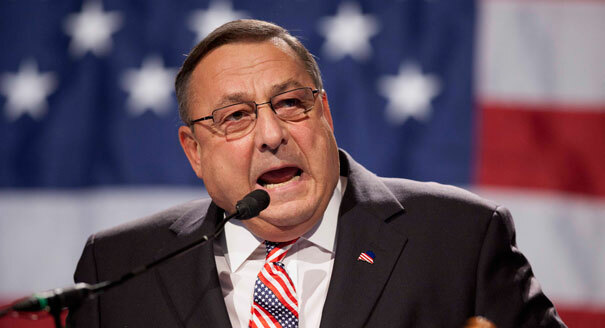 Maine’s governor Le Page is a polarizing figure in Maine politics. Supposedly King was being a “traitor” by changing sides, or showing “no principle.” That is absurd. King supported Cutler as an independent. But in a press conference yesterday Cutler admitted he was a long shot, and said voters should vote their conscience. King, realizing that he did not want to see a second Le Page term, came out and changed his endorsement to Mike Michaud – following his conscience, as Cutler advised. That is a principled, rational response to the conditions in this election. King may have even talked with Cutler about it. So why the fury against King? It’s simply an emotional reaction to the sudden realization that the anti-Le Page vote may not be as divided as Le Page supporters hoped. King’s change is symbolic of the possibility that many Cutler supporters will switch to Michaud, thereby making it much less likely Le Page will win. The anger isn’t really with King, it’s with the possibility Michaud will be Maine’s next governor. Mike Michaud, Maines’s first openly gay candidate for governor, stands to benefit from King’s endorsement. The dynamics of the three way race remain uncertain. In 2010 Le Page barely bested Cutler, with each getting about 39%. The Democrat Libby Mitchell was back with 22%. Cutler almost won – hence he tried again. Yet Michaud, a popular Congressman, is a much stronger candidate than Mitchell, and Cutler was never able to seriously challenge the two leaders. The polls show a very tight race at the top – the Huffpost pollster has the race as 50-50, with Le Page and Michaud both averaging 40% in the polls. Cutler has remained well below 20%, down to 7% in one poll. It says something profound when one side thinks it can only win if it divides the opposition – Le Page supporters implicitly admit their candidate would not win a two person race. Yet this also shows a weakness of a plurality vote; a third candidate messes up the works, creating unintended consequences – Le Page’s 2010 victory is an example of that. The real solution is to ditch the plurality vote and create a run off election of the two top candidates if no one reaches 50%. They do that in other states, we should do that in Maine. The odds are good that this move away from Cutler will help Michaud win – but any three way race is hard to predict. Allowing a run off election would help independents because people could truly vote their conscience in the first round, and not need to worry about strategic voting. Hopefully Maine will move in that direction in the next legislative session. Who Will Control the Senate? The midterm elections of 2014 look tailor made for the GOP. The President has low approval ratings, the public is in fear mode over ebola and ISIS, Democrats are structurally in an election that would be difficult anyway. They are defending 21 Senate seats, the Republicans are defending only 15. The Democrats are defending seats in traditional Republican and “split” states, while the GOP is defending in states that went for Romney in 2012. Three states the Democrats are defending: South Dakota, Montana and West Virginia look all but certain to go to the Republicans. Given all this one would expect November 4th to be a huge blow out victory for the GOP. And it certainly could be just that. However, the Democrats remain tantalizingly close in the polls, and there are many scenarios in which the GOP makes up on November 5th disappointed. Instead of a wave, which many Republicans expect, the water could turn out to be still and flat. 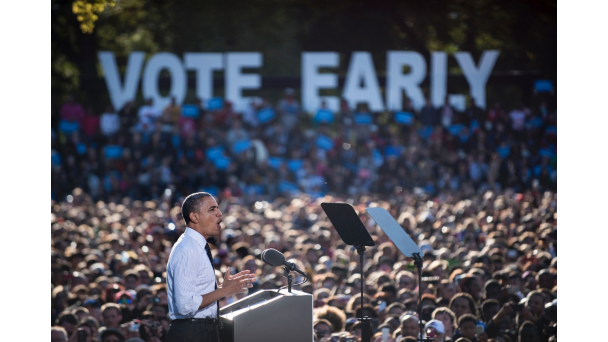 Three things should give the Democrats hope: 1) In Senate elections the candidates matter more than the party to swing voters; 2) in close races voter turnout is likely to be higher than usual – Democratic enthusiasm has rebounded, unlike 2010; and 3) the polls are so tight that get out the vote efforts could make a difference. Currently the Senate is split 53-45 in favor of the Democrats. Two independents caucus with the Democrats, so it’s really 55-45. That means Republicans need to win six seats to gain control (Vice President Biden would be the tiebreakers if they won only 5). Of the 21 seats they are defending, the Democrats look secure in only 11 of them. Of the ten remaining, Republicans look like they are coasting to victory in three of them (though with a three way race, South Dakota could surprise). Currently there are ten seats “in play” – three Republican seats have the potential for a Democratic pick up. Each of the two parties each can only be reasonably sure of 45 seats at this point. To gain a majority Republicans need to win 6 of those 10 races, Democrats need to win five. Alaska: Republican Dan Sullivan seemed to eek out a slight lead in recent polls, though the most recent poll (with a low sample size) showed Democratic incumbent Mark Begich up by 6. Given the advantage incumbents have, Begich has a real shot. Going strictly with the numbers the Huffpost pollster (here after HP) gives Sullivan a 62% chance to win. Arkansas: Republican Tom Cotton pulled ahead of incumbent Mark Pryor in recent weeks, but hasn’t been able to sustain a lead. This is why the GOP isn’t making this a slam dunk, they can’t seem to pull away from the Democrats. The latest poll has Pryor up by 1 – it’s close. Again, given the advantage incumbents have, this is winnable for the Democrats. HP also has this as a 62% likely GOP win. Colorado: Another race giving Republicans both hope and headaches. Cory Gardner appeared to polling solid leads, even up 7% in one poll. But four of the last five polls show incumbent Mark Udall with a 1% lead. With Colorado’s mail in voting, this may be one where voter turnout helps the Democrats. It’s definitely winnable for Udall, though HP gives Gardner a 61% chance. Georgia: Two new polls tell starkly different stories. One has Republican David Perdue up 8%, another (Rasmussen, with twice the sample size) has the race tied. Polls have shown Democrat Michelle Nunn or Perdue up 2 or 3, no one has had a sustained lead. Given demographic change in Georgia and high minority voter turnout in early voting, Nunn has a good shot. HP gives Perdue a 64% to win. Iowa: Another race that seems to be shifting. 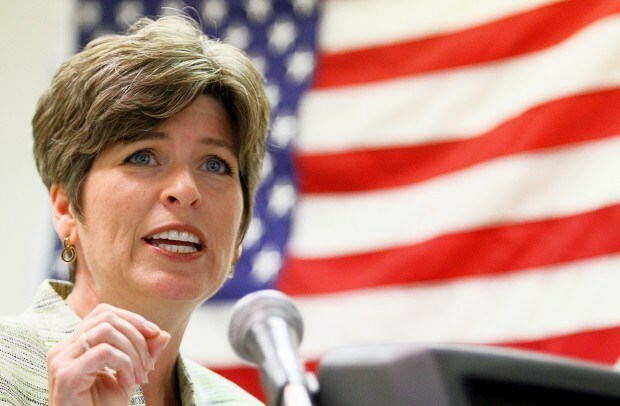 Republican Joni Ernst had a week or so of consistent leads in the polls. Small, but consistent. In the last week Democrat Bruce Braley has polled better, the latest poll has him up 4. It appears Iowa may be shifting towards the Democrats, though HP still gives Ernst a 56% chance of victory. Kansas: A deeply red state with an incumbent Republican running, this should be a no-brainer. Yet right now Greg Orman, running as an independent, looks like he’s holding a small lead over Pat Roberts. This race is too close to call, even HP has both with a 50% chance of winning. 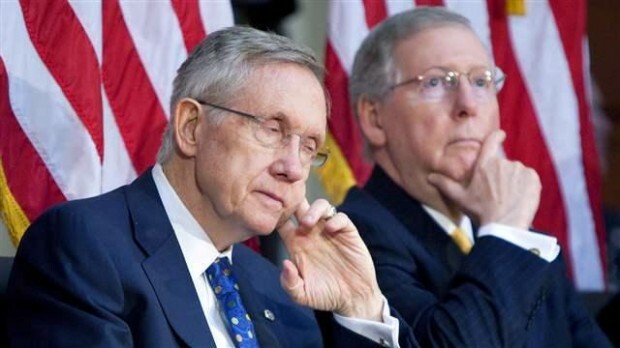 Kentucky: Another sign of GOP trouble – that Senate Majority leader Mitch McConnell is in trouble! Lately his well oiled machine has put him ahead in almost all the polls, between 2 and 8%. This is a longer shoot for Democrat Alison Grimes, but it’s close enough that it can’t be seen as likely Republican. HP has a 66% chance of a McConnell win. Louisiana: Due to the fact that the top two vote getters compete in a run off, it’ll be December before we know who wins, but it is looking increasingly unlikely that Mary Landrieu will save her seat from Republican challenger Bill Cassidy. However, Landrieu has appeared dead before and the race may shift in tone once they go into run off mood. At this point, though, it looks good for the GOP, and HP gives Cassidy a 68% chance of victory. North Carolina: Kay Hagan has managed to stay ahead of Republican challenger Thom Tillis, but not by much. 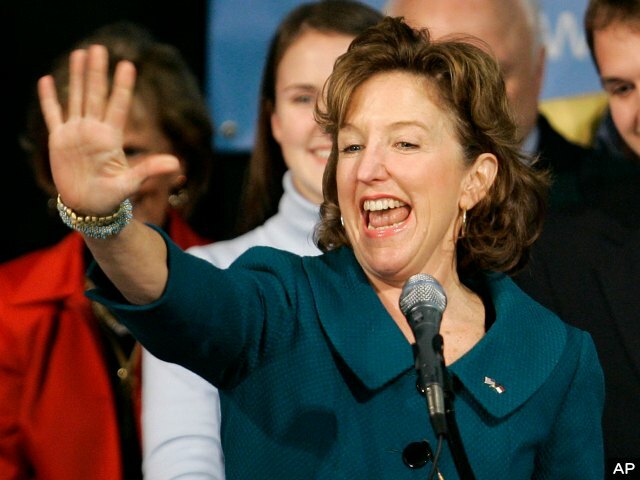 HP gives Hagan a 58% chance to keep her seat, but it would not be a shock of Tillis pulled off a victory. New Hampshire: Democrat incumbent Jeanne Shaheen has also managed to stay ahead of Republican challenger Scott Brown in most polls, though as with Hagan it remains too close to call. HP gives Shaheen a 59% chance of victory. What do we make of these ten races? At this point the Democrats only look ahead in two of them, according to the polls. If Orman won Kansas as well, that would be three of the ten for the Democrats, seven for the GOP, and the Republicans in control of the Senate 52 – 48 (assuming the two independents continue to caucus with the Democrats). However, the Democrats would only need two of the remaining seven to hold on to their control. And at least five of the seven look very possible for the Democrats. In other words – this election is going down to the wire. If the last week does bring forth a Republican wave, the GOP could win some that look good for the Democrats now, and have up to 55 seats. If the Democrats manage to pull ahead in these close races, they could end up with a more comfortable majority, maybe as much as 52 or 53 seats. Neither is a sure thing. A wave seems unlikely because the economy is good, people give the Democratic party higher approval ratings than the Republican party, and there is no tea party zeal or raw anger like there was in 2010. But even if there is no wave, it’s an uphill battle for the Democrats to try to hold the Senate. That the Democrats are this close in so many races should give them heart, even if they end up losing the Senate. That’s because in 2016 it’ll be the Republicans defending twice the seats as the Democrats! I will make predictions the day before the election, I want to see if there is any momentum shift in the polls in this last week. But with so many close races, election night should be exciting! 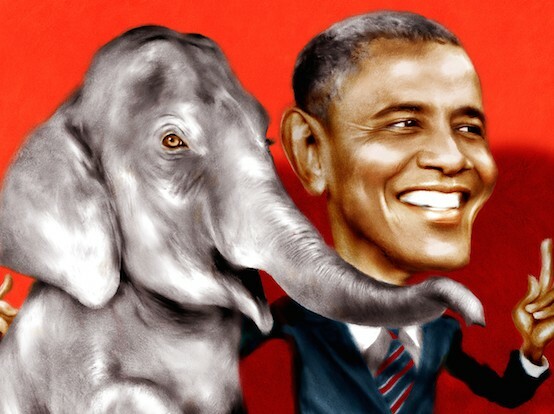 The American Conservative, an often refreshing publication espousing classical conservatism, has a rather provocative article out suggesting that President Obama is really a Republican, heir to Richard Nixon rather than Saul Alinsky (photo above is from their article). I had to google Alinsky, he was an mid-20th Century radical. The piece goes issue by issue, noting that Obama has undertaken essentially conservative policies, ones much in line with traditional conservative thought. He has been hawkish on national security, yet skeptical of jumping into wars. His economic policies have dramatically brought down the deficit, and he has been fiscally conservative, much to the consternation of his own party. He still enforces tough drug laws, even as states decriminalize. It took him a long time to voice support for gay marriage, even as his party was leading the way. Corporate profits have risen, he hasn’t done much to address the imbalance of wealth between blacks and whites, he’s been hawkish about security leaks, and even his health care reform was based on Romney’s plan in Massachusetts (and is less bold than Nixon’s proposal back in the 70s). 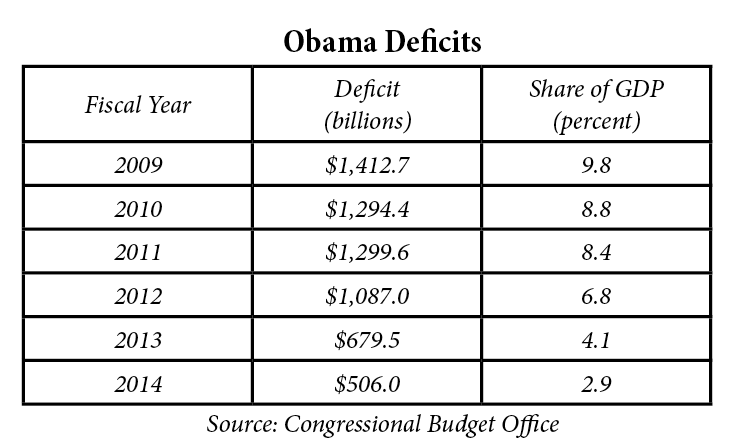 Obama has probably decreased deficits more than a Republican President would have. So why does the right have such outlandish personal attacks on Obama? By any objective standard he’s been a competent, centrist President. 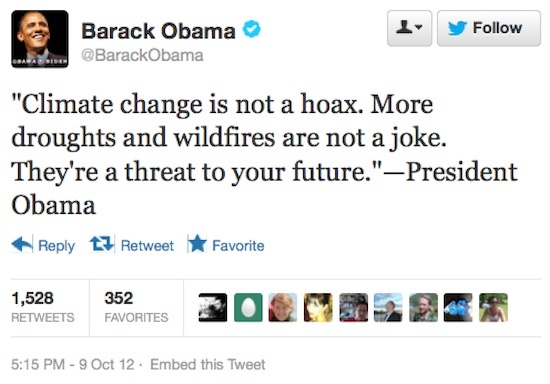 Yet he gets called a radical. He gets labeled “incompetent,” and his successes are swept under the carpet. He gets blamed for things like ISIS – an absurd claim, but one those on the right fall over themselves to make. Though the Center for Disease Control is one of the most respected health organizations in the world,the cautious and successful approach they’re taking to ebola gets criticized. In fact anything wrong in government (and left and right can agree there are always some problems in government) is laid at his feet. Up until now I thought the reason for this antipathy was because some on the right think Obama is different. Not just racially, but he’s urbane, cosmopolitan, has a strange name, and doesn’t seem to be the kind of good old boy Americans were used to. He symbolizes a transformation of the country that many fear but are powerless to stop. However, there are two other factors. One, given the treatment of Bush by the left, it might be that any President these days will be vilified by the other side, especially given the prevalence of inbred media (blogs, media, and other sources populated by only one part of the political spectrum). But more importantly, if someone is a competent centrist, all you really have are personal attacks. The President surrounds himself with Wall Street insiders who would be just as comfortable in a Republican administration. To true partisans of the left, the news that Obama governs from the center isn’t new. Much of his disapproval rating comes from the left side of the political spectrum. The biggest criticism of his Presidency is that he’s too cautious, too willing to work with Republicans and concerned more about finding solutions that appeal broadly, rather than fighting for a cause. From fracking to the trans-pacific partnership and the Canadian oil pipeline, Obama has been slow to act. A liberal activist would govern much differently. Partisans of the right might grumble that it’s only because of Republican opposition that Obama could not get more done. They may take credit for forcing him to govern from the center. Yet that doesn’t explain his style – even during his first two years with a Democratic Congress he showed a penchant for pragmatism. So is this a good thing? With all due respect to my liberal activist friends, I still believe Obama will be remembered as one of the great Presidents in large part because of his pragmatism. It’s not that I agree with him on everything – I don’t. Yet agreement with me isn’t the measure of a President! The country is in the midst of a radical transformation. The economy is deep in debt, and the financial meltdown Obama inherited shows deep structural flaws in our economic system. Transformation in the Mideast, the source of our cheap energy for last half of the 20th Century, creates real security threats. Environmental problems are real, even if people want to close their eyes to them or embrace some wild theories to deny global warming. The only way we’ll get through the next decades without paralyzing political gridlock is if we find a way to work together. 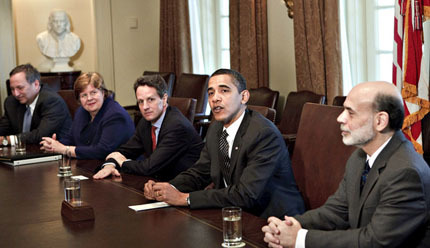 Not just here at home, but internationally (and Obama retains very high respect abroad). That means compromising even on important issues- that’s how the world works. While Republican hyperbole and obstructionism may tempt Democrats to use executive power to its fullest extent, Obama has been moderate in its use. He believes in being President to all Americans, even those who call him names. We are undergoing a profound cultural and demographic transformation. As the tea party fades and Republicans finally start to work against extremists in their party, the stage is set for compromise in the future. No matter who wins the midterms, the conversation has shifted away from the radical rhetoric of 2010. Obamacare is entrenched – it may be changed, perhaps improved, but not gutted. The power of Grover Norquist, while still real, has declined. Tax increases are thinkable as part of a budgetary compromise. Even climate change denial is shifting as the weather patterns make clear something real and potentially dangerous is happening. So the left may be dissatisfied by Obama’s centrism while the right finds all sorts of absurd reasons to try to cut him down. But quietly and effectively, he’s been a steady force in a country under going a fundamental transformation – a fact that will become much more evident in hindsight. “Close the borders!” “I’m not going to travel anywhere!” “Kick any African out of the country!” These are statements of irrational fear of Ebola. The reality is that the US is probably going to contain the virus this time due to the intense and thorough efforts by the Center for Disease Control (CDC) . Ebola is not easily transmitted, the biggest threat currently is to care givers, especially those at the end of life. Yet while a lot of the panic we see in the US is irrational fear, there is reason to fear the spread of Ebola, which could become a global pandemic. That rational fear is illustrative of the changing nature of global politics. 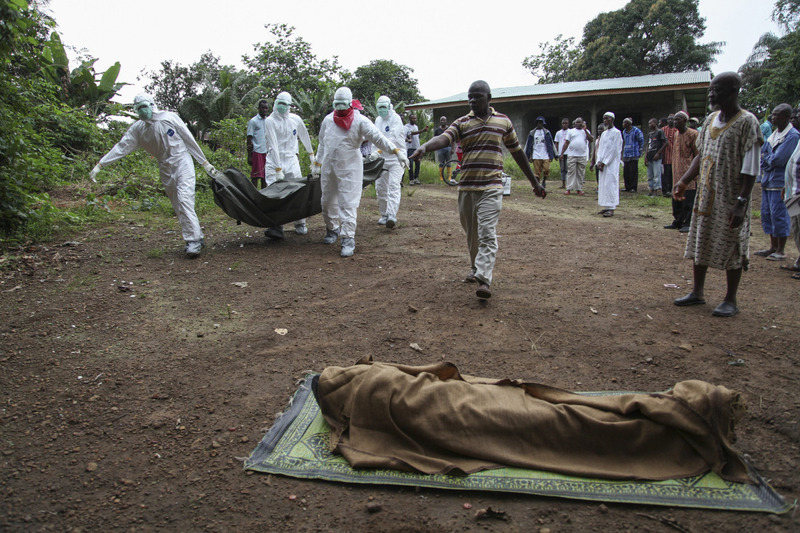 Diseases like Ebola cannot be contained geographically if it reaches a certain tipping point. Due to globalization the threat is real and universal. China does a lot of business on the African continent, one could imagine it hitting that country. The world is connected. So what is the proper response? First, the racist reaction of some needs to be rejected. The idea that this is an African or “black” disease is simply wrong. It’s a human disease, and no life is more valuable than another. Second, irrational fear must give way to rational fear. That is the fear that the disease could spin out of control in Africa, thereby dramatically increasing the likelihood of a global pandemic. That rational fear gives us one logical course of action: the countries of the developed world, with wealth and technology, need to do all they can do to combat Ebola in Guinea, Sierra Leone, and Liberia before it spreads further. We need to recognize that their problem is our problem. Trying to isolate ourselves from them only increases the chances that we’ll ultimately suffer from a pandemic. Our best defense is to defeat the virus while it can still be contained. Rapidly, time is running out. 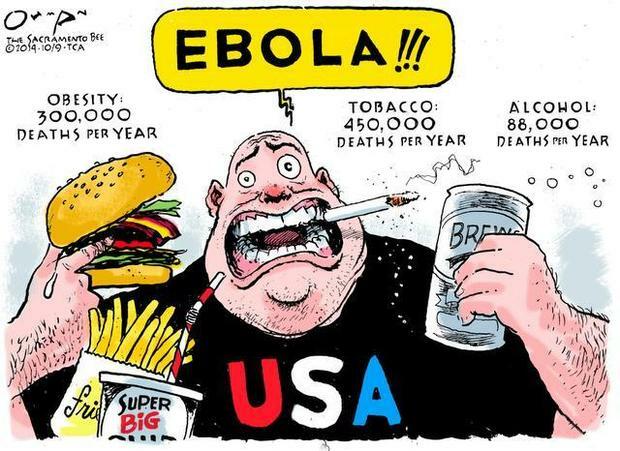 It strikes me that Ebola is a perfect example of how our thinking is not yet in sync with the reality of globalization. We still think in terms of sovereign states, independent, and able to protect ourselves from outside threats. We’ve not yet internalized the fact that we are so connected with the rest of the world that sovereignty exists more as a legal concept than practical reality. Instead of calling for a massive influx of aid and support for the fight against Ebola in Africa, we call to close the borders and stop travel. That’s short sighted and counter productive. Yet it’s still that way on a plethora of issues. While neo-liberal orthodoxy keeps us from grasping protectionism in a down economy, on most issues we act like we have the power to go our own way as a country, regardless of what others want. That is an illusion. China could in a day destroy our economy. China won’t, because the consequences for China could be catastrophic. However, they have the capacity to inflict economic harm at will if we do things that they find contrary to their interest. That’s just one example. Globalization has so linked the world economy that we’re all on the same boat, even if we imagine we’re captaining one boat in a vast fleet of individual ships. 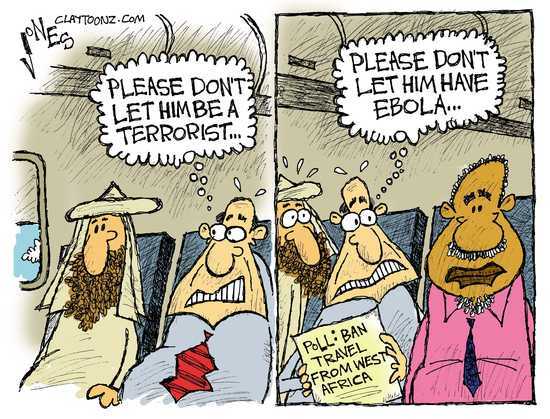 Ebola perfectly illustrates the dangers of such anachronistic thinking. By fearing the disease and thinking we can protect ourselves, we call for things like travel bans, isolation, and an internal focus. We worry about it spreading here, and follow the small number of US cases with diligence, open to rumor and gossip. What we should be doing is following the cases over in Africa, worried about the inability of those states to contain the virus. We should be clamoring for our government, the UN, and the governments of the industrialized world to do everything possible to contain Ebola now in those countries. The reality is that if Ebola continues to spread, it will mutate, perhaps become airborne, and ultimately be global. Nothing we can do will prevent it from hitting our shores if that happens. We don’t really protect ourselves by focusing on what’s going on now in the US, our best protection is to be proactive in places where Ebola is rapidly spreading. But we won’t, too many of us are locked in old style thinking. Meanwhile the clock is ticking on our chance to contain Ebola in West Africa, our best bet to avoid a global pandemic. In May I hope to be part of a University of Maine – Farmington travel course to Italy. It will be the eighth time I’ve taken students to Italy, the seventh as part of a team that includes my colleagues Sarah Maline (Art History), Steve Pane (Music History), and Luann Yetter (Literature). Part of the run up will be blog posts on a blog especially built for people interested in the Italy trip. But the posts will have a broad base – the last one was on coffee in Italy, but there have been posts on aspects of ancient Rome, the Venetian republic 697-1797, food in Italy and politics in Italy.